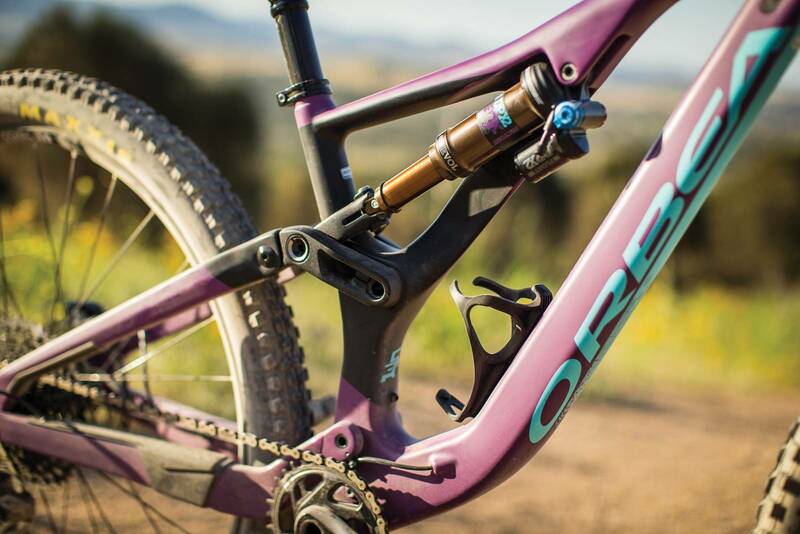 When the Orbea brothers began manufacturing firearms in Eibar, Spain around 1840 a 29-inch enduro bike must have been far from sight, but we are glad the times have changed. The times were the 1930s and the gun manufacturers’ focus shifted to cycling, add some stage wins in the Tour de France and we now had a premium contender on the world stage. Some serious offerings in road and XC were driven by a racing pedigree as old as the hills and 4 previous iterations of the Rallon meant that Orbea was serious about creating a winning enduro platform. Why didn’t previous models get as much attention? 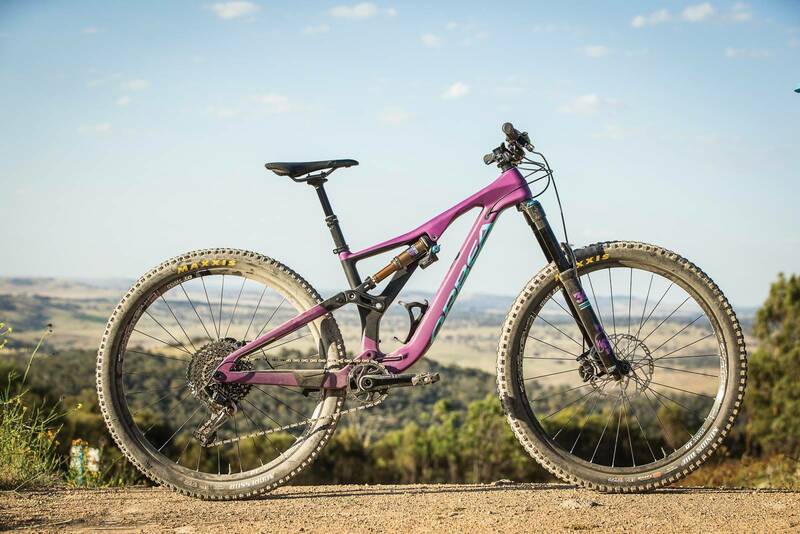 Maybe it’s the asymmetrical frame, maybe it’s the sleek lines and attention to detail, maybe it’s a newly announced enduro team, maybe it just that it rides like a dream? 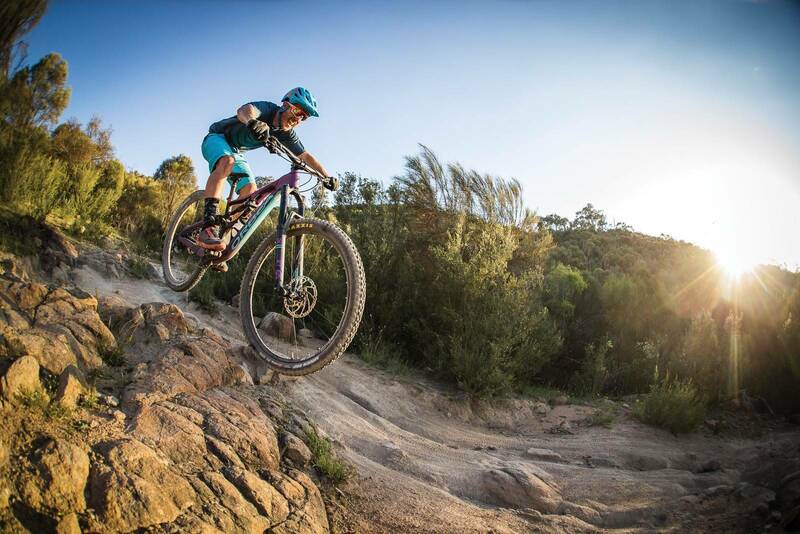 The Rallon has been designed as Orbea’s flagship enduro race bike with the M10 coming in at $6799 and the most affordable of the 3 tier line up. In addition to the 3 models, Orbea’s My-O program has it’s very own production line. The just-in-time custom bike program will see a myriad of paint variations at no upcharge at each of the three price points only paying for upgraded components along the fun and albeit dangerous journey of designing your dream bike. With a 6-8 week turnaround to your local dealer subject to demand, we love this idea. 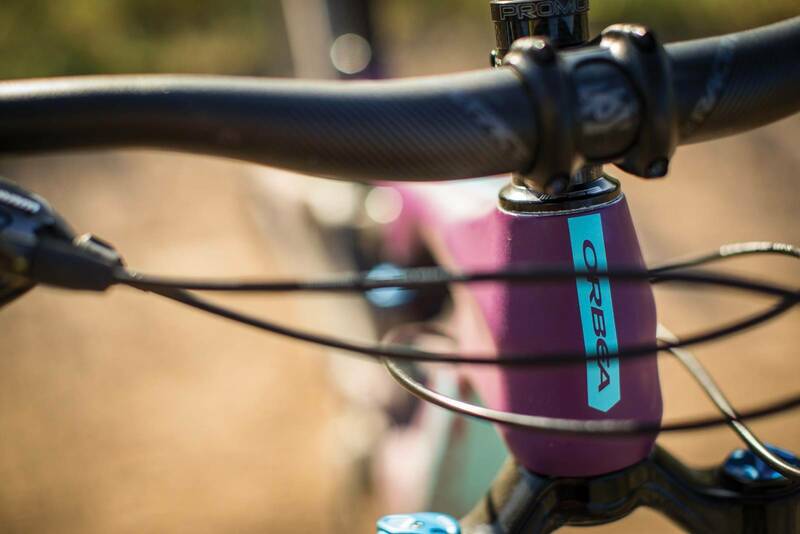 Orbea claims to have built a bike without compromise; the enduro race bike for the 2018 season. 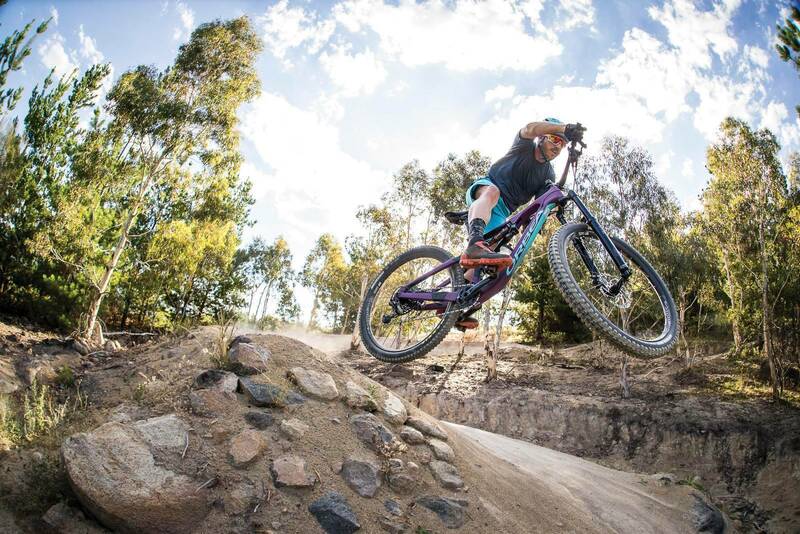 They are debuting the bike at Andes Pacifico in Chile before attending the full EWS series along with co-sponsors ENVE, Fox and Rotor. 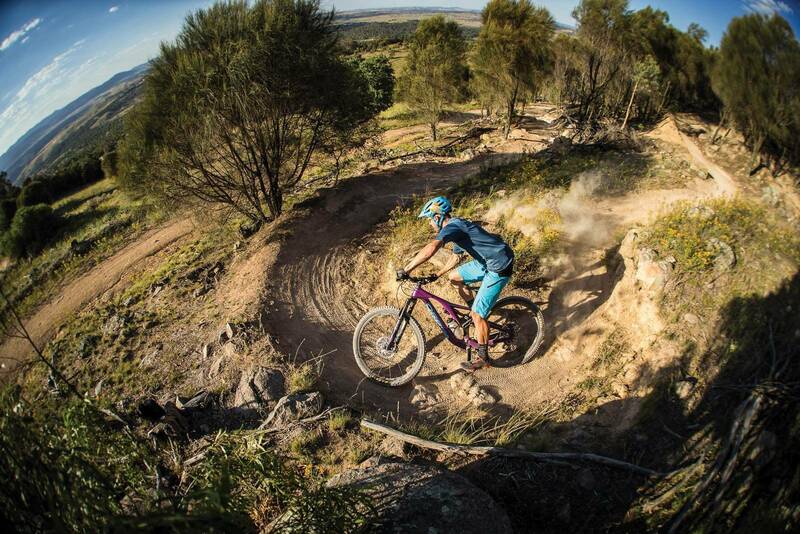 We will be watching to see how it handles the treacherous terrain and anti-grip of Chile. 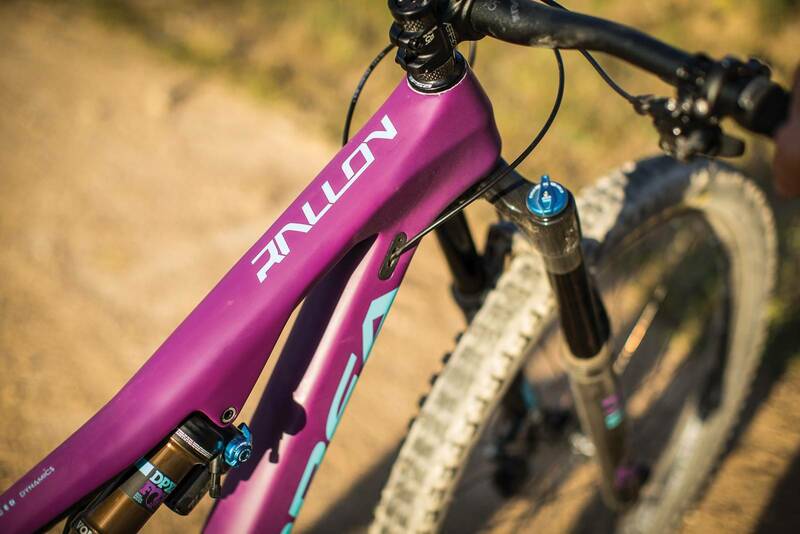 The Rallon joins some very serious contenders such as the Specailized Enduro 29, Trek Slash, Santa Cruz HighTower LT, Evil Wreakoning and Scott Genius. When we first set eyes on the Rallon late 2017, it was striking to say the least. A bold and prominently asymmetrical mainframe is highlighted with contrasting colors across all 3 of its paint schemes not to mention what is possible in the My-O paint labs. The Rallon’s lines are smooth with everything placed right where the rider needs it. This is partly to do with its full monocoque carbon construction which used EPS to ensure uniform compaction of the carbon fibers. Full internal routing is clean and where the lines show themselves briefly they re-enter just as fast into a neatly formed integrated cable port. With a lower standover than the previous iterations, achieved by an offset shock position, Orbea have managed to squeeze room for a 500ml bottle, tubes and plenty of tools onboard while making this a stiff and sturdy feeling ride. Quick access to the shock’s controls on the fly makes flicking between compression modes an absolute breeze. It’s not just easy to reach, but in a fixed location and doesn’t move up and down as your climbing over terrain, just brilliant! Unlike other split-pivot designs, the Rallon has a much more slender rear end making negotiating pesky technical sections strewn with rock and debris a non-issue. When sitting onboard the Rallon, it’s like sitting on a bike you have owned before, from comfortable grips to w well thought-out cockpit adorned with RaceFace and Selle Italia, yet everything is new almost like it isn’t your bike yet. 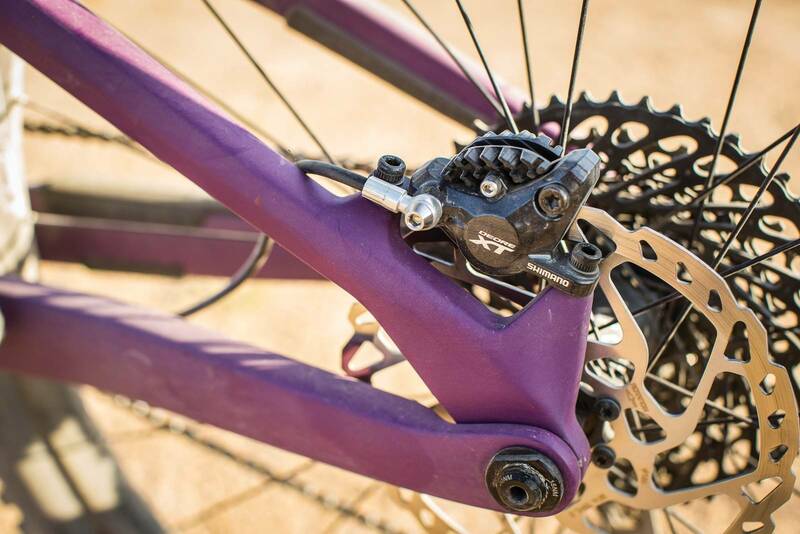 The RaceFace Aeffect alloy components are neat and fit for purpose however we would change the dropper post travel from 125mm to 150mm in My-O if we were looking to make the Rallon our own. The SRAM GX Eagle group set is a tried and tested workhorse which is perfectly suited on this platform. We opted to setup our test bike tubeless, which on a 30mm internal rim with tubeless tape pre-installed, valves supplied and quality tubeless rubber the decision and task was easy. We will note that the DT Swiss E-1900 30c rims are pinned and not welded at the join, we did experience some leaking of sealant overnight but the rim sealed up with no further issues on the first ride or thereafter. While Orbea do not publicise a weight our Rallon M10 just tipped the scales at 14.05kgs. 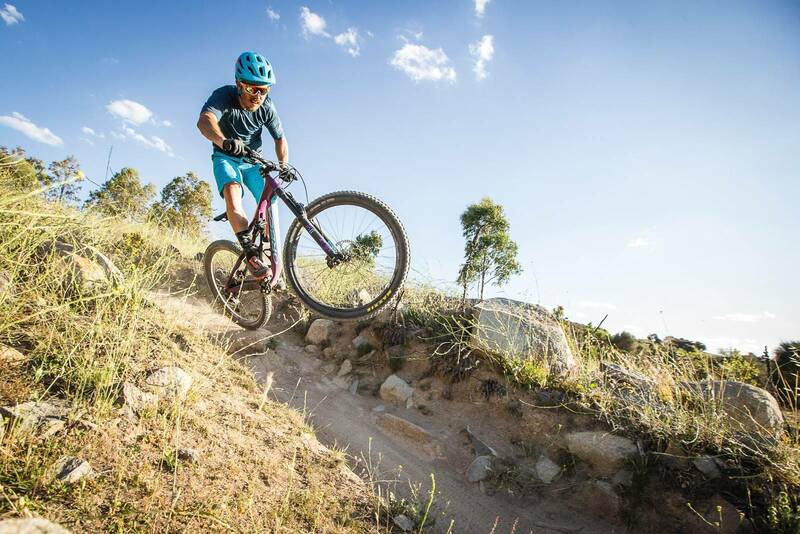 Our initial concern was its maneuverability and ability to tackle climbs, a key ingredient in the world of enduro and backcountry adventures. While it’s great to have a bike that can be let loose in the wild and unknown trails we visit, reality suddenly hits you at the valley floor as you find out quickly how well it actually climbs. It is for this reason why bikes of this nature can be overlooked. 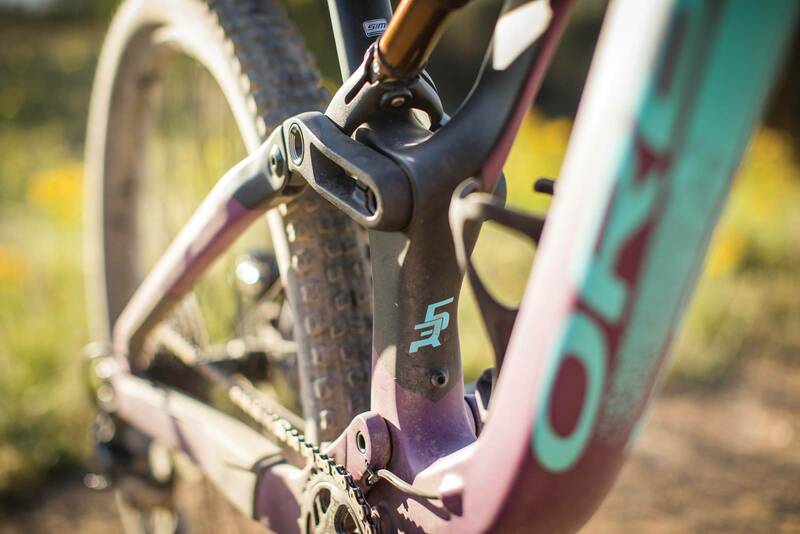 Our M10 was a tad on the small side for our tester, but thanks to the long-low-slack enduro mentality that Orbea has chosen this was not a problem with a stem change. The bike was designed with a 35mm or 50mm stem in mind, we moved to the 50mm and this gave us ample room for swapping in switchbacks. With the large measuring in at a 1217mm wheelbase and a 61 mm top tube it remains stable without being a Titanic in the turns. With a steep seat tube angle of 76 degrees, the seat is positioned further forward over the bottom bracket than possibly all of its competition making long arduous climbs with a pack not bad, like not as bad as a lot of 130mm trail bikes. It is hard to say if it is this key geometry attribute alone that has made what we thought would be yet another descending plow feel like a sprightly 130mm trail goat. 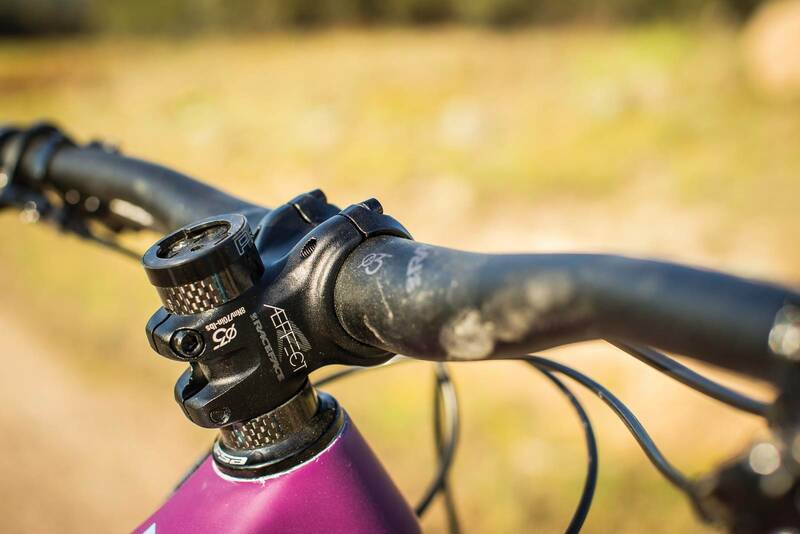 We found ourselves rarely using the climb functionality of the well matched Fox Factory DPX2 rear shock, only switching between the “Open” and “Trail” modes for the steep and technical climbs. This kept the rear from sinking into its travel and gave us heaps of traction in the loose rocky pinches. Descending is no doubt what this bike was designed to do and it is extremely comfortable when the rough gets going. From charging rocks with confidence, hitting blown out berms or completely missing your line and having to improvise, it remains composed, well-mannered and eager. With a 435mm 1x specific chainstay that has the girth of most downtubes, direction changes were easy and lots of fun. When the going gets fast and rough, the Rallon comes to life. It really is incredible how it manages to remain nimble on climbs and singletrack yet can be let loose on the descents. We found ourselves constantly try to wash off speed and trying more daring and questionable lines. This bike is well suited for the spirited rider whom relishes speed, ungroomed or unknown rough terrain, a real benchmark in the enduro game. As the large majority of riders are not enduro racers we hit up some bike park style trails and all day trail rides just to be sure. Riders will find that the Rallon handled the weekend bike park visits well, nice and stiff and no noises on those big gaps. Big days on the bike are going to need a backpack, spares and tools aplenty as 500mls of fluid just isn’t quite enough in the land down under. As mentioned earlier we wonder if the pinned DT Swiss E-1900 30c rims will be up to the task, the width and profile were spot on but this is a seriously impressive descender and the Rallon requires something a little more burly. The Rallon exceeded Orbea’s bold statements in our view, it is the perfect mix of descending capability, balanced handling and a efficient climber. 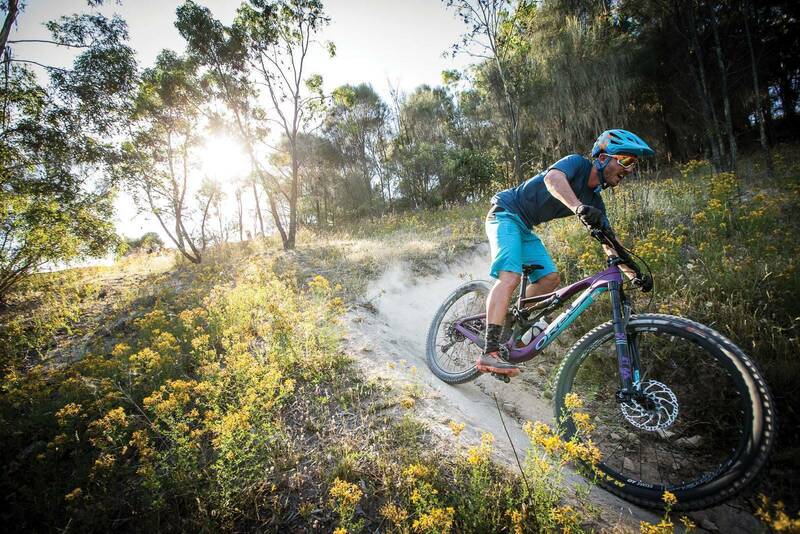 There is no denying that the steep 76 degree seat tube, attention to detail and My-O offerings set this bike at the top of our list for enduro bikes. For $6799 the Rallon M10 can be custom painted to your liking in around 6-8 weeks for no upcharge, or you could swap out components and just pay the difference. 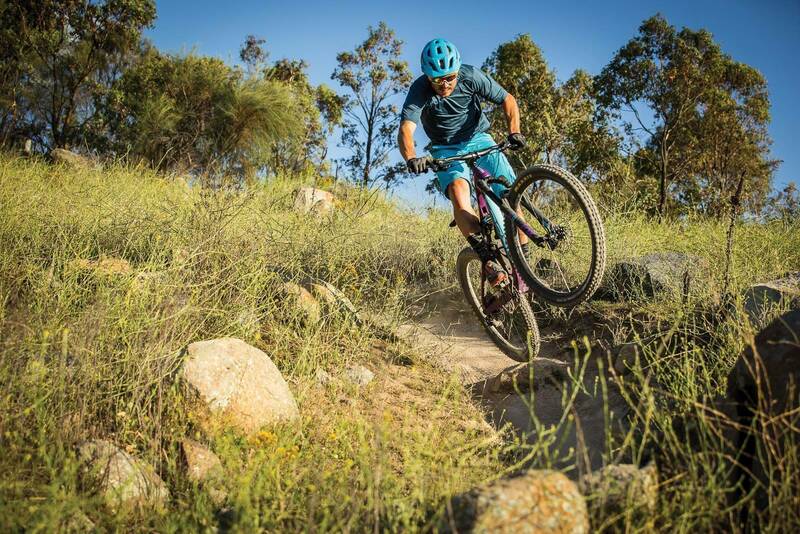 We think the Rallon is an incredibly well rounded contender in the long travel 29 market, even dipping its toes into trail bike regions due to its outstanding climbing prowess. 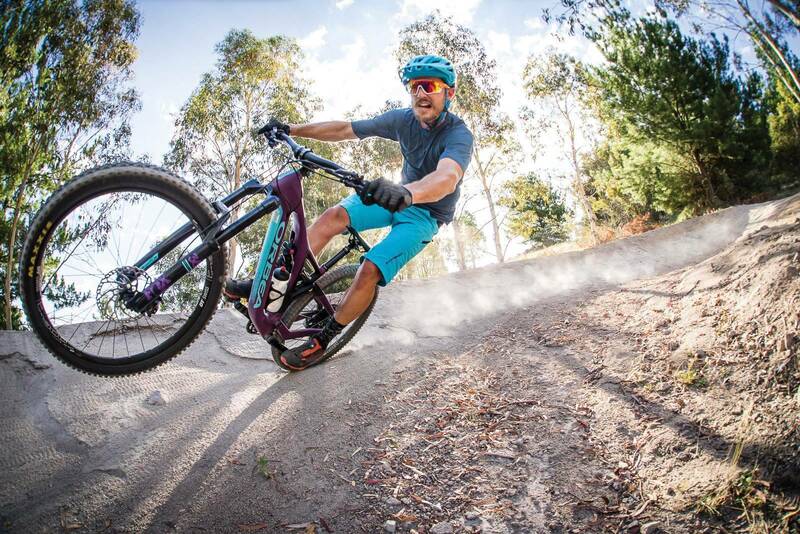 We did question the Fox Performance 36 equipped with the GRIP damper, and with hard riding we did notice it struggled to stay as planted as the rear and keep up with the sheer speed this bike is capable of. If racing is your thing, perhaps a tune or FIT4 damper would add that extra front end confidence. The downtube honeycomb style roost guard did part ways during one of our more spirited runs, some double sided tape can neatly relocate the guard. We contacted the Orbea importer Bike Box as its held in stock as a service part if you lose yours. The Rear axle and split pivots did migrate loose during testing, a clean and some mild Loctite found these issues resolved. 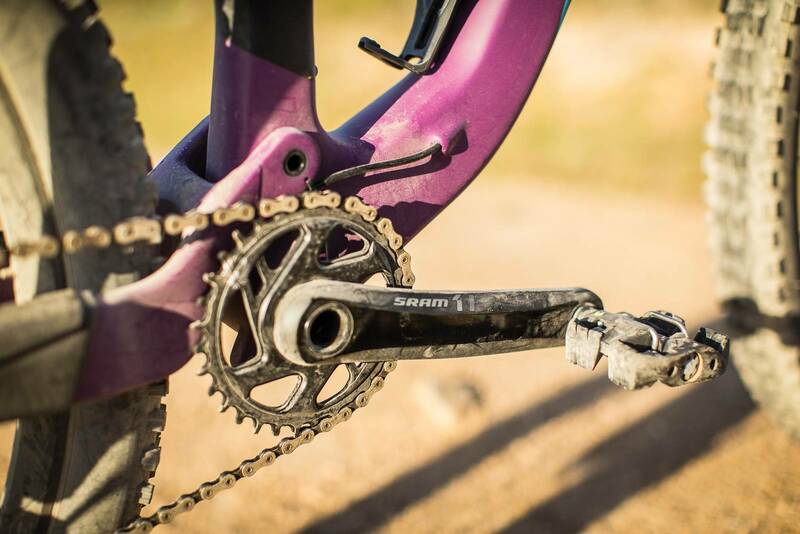 We would recommend checking all pivots periodically on all dual suspension mountain bikes. This happens to plenty of bikes we test, but this will no doubt be addressed by your dealer before you even receive the bike.